You jump at the chance to visit your best friend Kira and her husband in Baumholder. You’re greeted with a freak blizzard and thrown into a fight against ice giants. 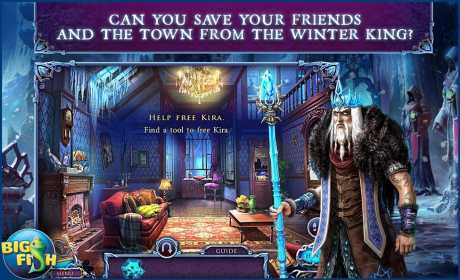 Find your way through the cold and help save Kira! • CAN YOU SAVE YOUR FRIENDS AND THE TOWN FROM THE WINTER KING? A beautiful summer day is rudely interrupted by an ice storm and suddenly, the beloved town of Baumholder is ruined. Defeat the frozen army before it’s too late! 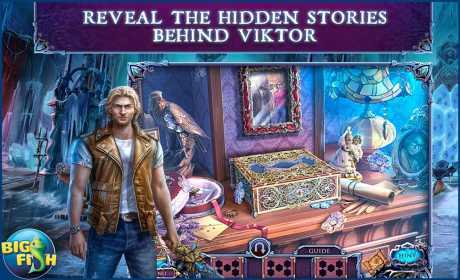 Work through a number of interactive hidden object scenes and slowly discover the truth behind Kira’s husband’s past. 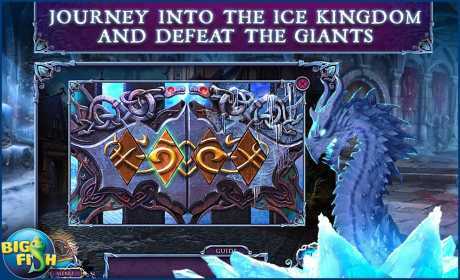 Play entertaining mini-games and solve unique puzzles in order to successfully finish this quest. Continue this adventure in the bonus game and enjoy additional Collector’s Edition exclusives including a detailed strategy guide.